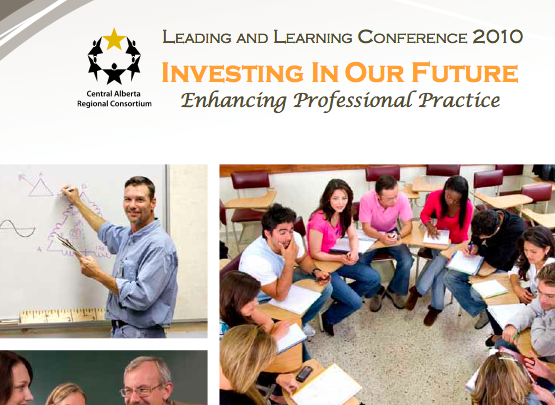 One of our staff, Neil Stephenson, is presenting two sessions at the CARC "Leading and Learning" conference. (2) Leading Teacher Change in a Technology Rich School. Link to the Galileo Inquiry rubric linked to illustrative examples from the Calgary Science School. Link to the "Examining Student Work" Framework, with samples and presentation. This year one of our Grade 6 Humanities Teachers, Chris Dittmann, is volunteering for a organization, Hands at Work, that works with HIV orphaned children in Africa. Chris has dreamed up a project that he's hoping the Calgary Science School community will help support. Greetings to all of you at CSS from hot and sunny South Africa. For those of you that don’t know me, my name is Mr. Dittmann and I am usually a Humanities teacher at CSS. I say “usually” because this school year I have taken a leave of absence from my teaching position at CSS in order to serve as a volunteer with an organization called Hands at Work in Africa. I am currently living near a town called White River in the province of Mpumulanga, which is in northeast South Africa, close to the border with Mozambique. Hands at Work is a non-governmental (charity) organization that assists communities in eight countries in Africa that have the highest numbers of orphans and vulnerable children and have little or no access to things like hospitals, clinics, and schools. Hands at Work doesn’t deliver any of the services, like food, education, or health care. Rather, people in the community itself get organized to do this and Hands at Work tries to support them and help them to do even more things to help the kids in their community. Most of my days here are spent helping local Hands at Work volunteers. I try to do whatever I can, like teaching computer skills (not many Macbooks here! ), writing proposals and reports about projects that the communities are doing and also writing stories about some of the kids who are getting help in the community. Not many people in the communities own cars or drive so I also spend part of each day driving volunteers around. I enjoy it, although people drive on the opposite side of the road here in comparison to North America, which was a little confusing at first! 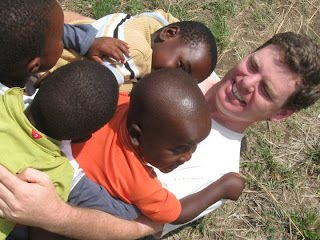 Many of the kids in the communities I’m working in face huge challenges in their lives. Many children have lost their parents due to HIV/AIDS. Some of these kids are taken in by relatives, who already have difficulty providing for their families. Other kids end up living on their own. We call these “child headed households”, where the oldest kid becomes the caregiver and head of the family. Some of them are barely teenagers. It’s very difficult for these kids to provide food for themselves. 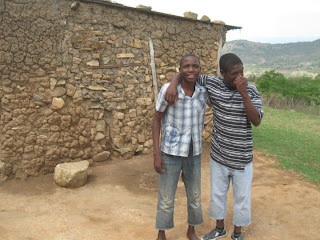 Some are forced to quit school and try to earn money. Safety and security are big issues for these kids living alone. Even though I’m not at CSS this year, I have had lots of contact with my fellow teachers back home. In fact, we have been busy coming up with some ideas of how you at CSS can connect with what is happening here in Africa. Through technology, we’re looking at ways that CSS teachers and students will be able to see what life is like for some of the kids here and get to know their stories. There are two households in particular that I’ve been working closely with – and that I’m hoping CSS will support over the next few weeks. These young people are currently living in very unsafe conditions – and it’s my hope to build two secure house for them – at a total cost of $7000. I am still working out the details of how to collect funds for these families – but I’ll communicate that shortly. The great thing about being here is that I’ll be the project coordinator for buildings – and students at CSS will be able to skype with the families in January as the homes are being built. In a recent post we shared an example of podcasting as a powerful tool for students to demonstrate their mathematic thinking. Here's another example of students recording their mathematical thinking, this time by a grade 4 student. 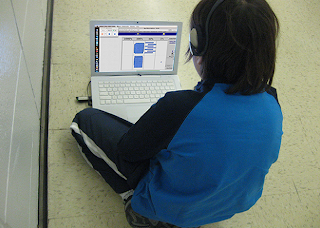 We believe that this is one of the most powerful uses of a 1:1 laptop program - how technology can empower students to demonstrate their understanding in multiple ways. 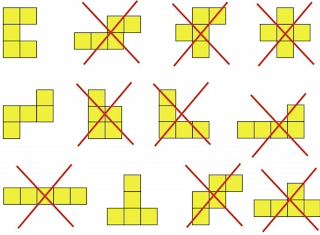 This video was made by a grade 4 student using this National Library of Virtual Manipulatives website - and then using the SMARTrecorder tool (comes with the SMART notebook software). As with all our projects - we welcome feedback, comments, and suggestions in the comment box below. 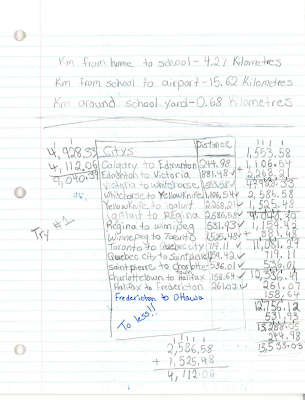 Our grade 5's have just finished using Google Earth to solve a math problem designed to build large number sense. 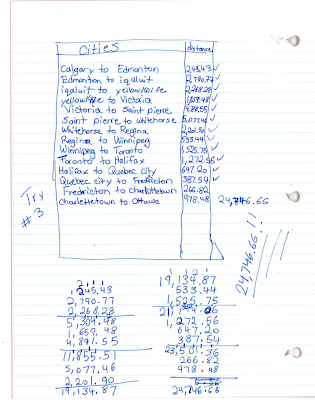 The students were challenged to find a route across Canada, starting in Calgary, that would take them to each of the capital cities. 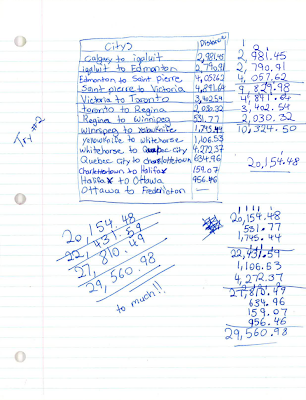 The trip could go in any order after leaving Calgary, but the students needed to complete their trip using at least 20,000 km and not going over 25,000 km. A Google Earth demonstration was given before the challenge. The class was shown how to fly between locations using addresses as well as the names of locations. Other tools that shown included: how to measure between two locations using the “line” and “path” function, how to move within the screen, how to zoom in and out of locations and how to mark locations that they had visited. The class first explored these tools by locating their homes, the Calgary Science School and the Calgary International Airport. Once all the locations had been found, they were asked to find the distance between their home and the school, the school and the airport and the distance around the school yard. If schools got it right for adolescent learners, what would they look like? To prepare students to respond to this question, we looked at various resources that provided context around traditional approaches to education and the history of schools in North America. 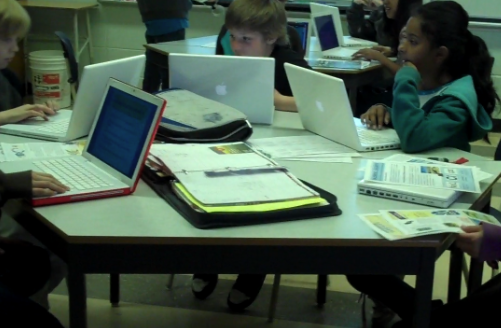 Here at the Calgary Science School we are currently in our 5th year of 1:1 computing. As part of our 1:1 program, the University of Calgary, along with the Galileo Educational Network have been researching our 1:1 program. Jacobsen, M., Friesen, S. & Saar, C. (2010). Teaching and learning in a one‐to‐one mobile computing environment: A research report on the personalized learning initiative At Calgary Science School. Report delivered to the Board of the Calgary Science School, March 2010. This week, three of our teachers are giving the two morning lectures to 350 first year education students at the University of Calgary. We are sharing the vision we have for inquiry-based learning at the Calgary Science School, and using some of our classroom projects as a way to illustrate how strong inquiry-based work is carefully and thoughtfully designed. 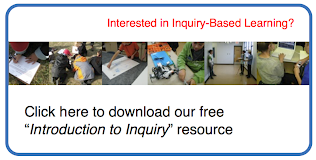 Here at the Calgary Science School we build our understanding of inquiry-based learning around the Inquiry Rubric developed in conjunction with the Galileo Educational Network. If you're familiar with the rubric, you'll notice that Appropriate Use of Technology is absent from the list. This is because technology integration is embedded in each of these illustrative examples. Our AISI funding has allowed teachers to meet periodically in 2009-2010 to review the assessment strategies of the school as they pertain to our AISI assessment goals, and to review some of the pillars of the school's assessment philosophy. The following video is a compilation of numerous assessment-related discussions that occurred during PD days during the the 2009-2010 school year. 1) What do report cards tell parents, and how do we consider reporting information to parents? 2) How do we collect data in an effective way that best represents the understanding of students? 3) How do rubrics and exemplars help teachers and students communicate the language of assessment in a classroom context? As you watch you'll see teachers debate some of their own understanding of assessment in light of some of the assessment data, report card exemplars, grade books, student rubrics and exemplars shared in these PD days. By the end of this professional development time together there seems to be a shared sense of what quality assessment looks like at our school. Last Friday we hosted a networking day for PE teachers from local charter and private schools. We had 12 teachers join us for a day of sharing lesson ideas, assessment techniques, and ways to integrate technology into the teaching of the Physical Activity and Health curriculums. The day was a mix of stand and deliver, Q and A and hands-on sharing of activities. 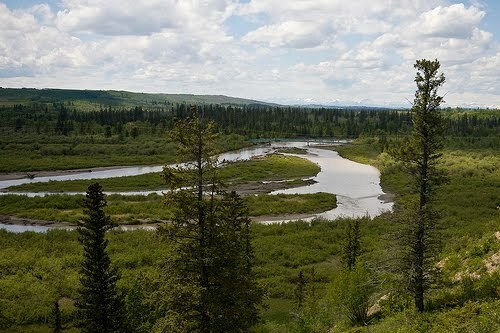 Boreal Forest: Are we doing enough? 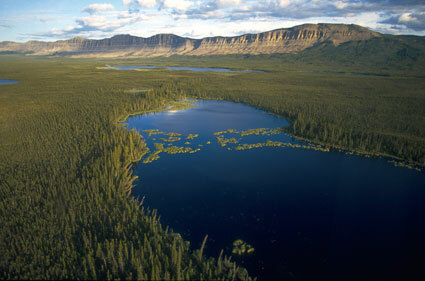 How is the Boreal Forest related to the health of the planet? 1. A mathematical exploration of large numbers, connected to the amount of oxygen needed by humans, and the amount of oxygen produced by trees. 2. 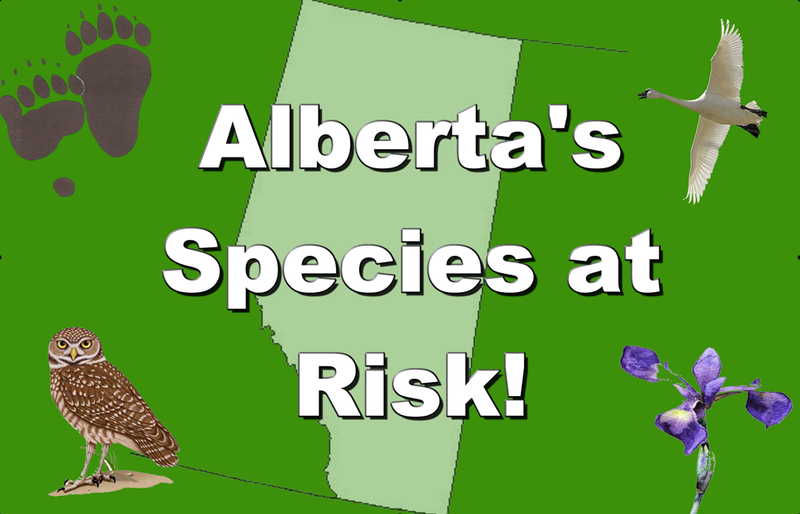 A research-based examination of the current situation in Canada's Boreal Forest, approached through various animal species in the region. You can access the planning documents by clicking here. We're really excited about our upcoming Mayoral Forum. The event will be an open webcast allowing anyone with an internet connection to watch - though in particular we're targeting it to Calgary classrooms. In particular, one of things that's got a group of our grade 9 boys really interested is being the technology crew for the event. We are experimenting with LiveStream as the way to broadcast the event. 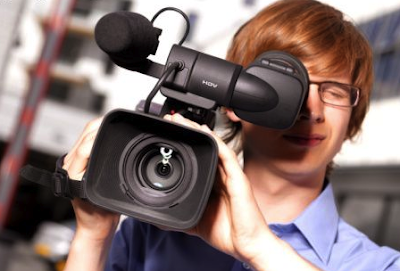 We've discovered it is a powerful tool because it allows for multi-camera broadcasting. Livestream lets you log onto one account from multiple sources and then mix the camera feed in real time. We'll be broadcasting our event here. 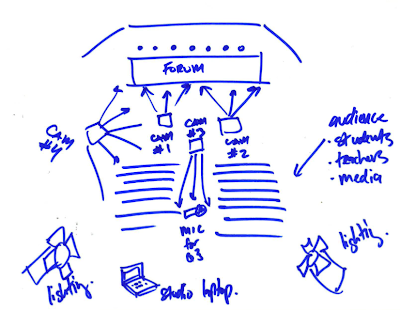 Our plan is to hook 4 video cameras up to 4 student laptops. We will have 1 student running each one of these camera on tripods. The feeds from these from these camera are then controlled by one main studio computer - which will be controlled by another grade 9 student. This student will be responsible for mixing the live feed that is broadcast our across the web. As our tech crew was playing around with Livestream this morning, they have discovered how to broadcast graphics, ticker tapes and name tags during the event. This means a couple more students are now needed to orchestrate the use of graphics during the broadcast. Other students will be responsible for reading and responding to the chat window as the questions come in from other schools. Other students are taking responsibility for the sound system and audio needs. Overall, it looks like we'll have about 12-15 students as part of a tech crew that's responsible for broadcasting this exciting event. 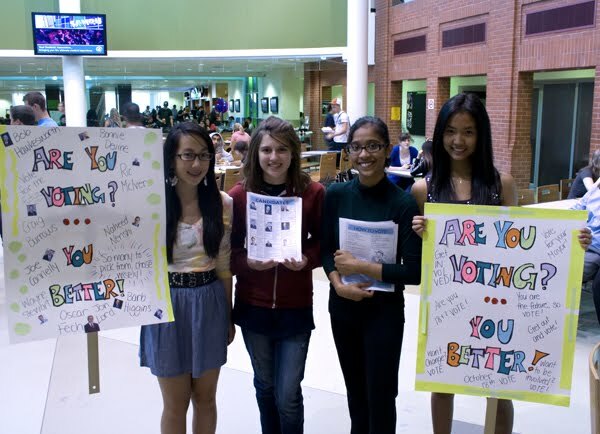 As mentioned before, the Calgary Science School is partnering with Youth Can Vote 2010 to host a panel discussion involving Mayoral Candidates for the upcoming election. We will be using Ustream to broadcast this event. We imagine that schools will have Ustream blocked by their IT department. If teachers are interested in participating, they should contact their IT department and inquiry about the possibility of unblocking Ustream the day of the event. We are planning a test broadcast the week before the event (Sept 13-17). This will allow us to test the technical requirements on our end, as well as any classrooms interested in participating. Details for this event are still being finalized (such as the actual date and time) and we would like to collect contact information to allow us to share details with interested teachers. Sign up for the Mayor Candidate Panel Discussion by clicking here. We welcome comments and feedback about this event as we continue to work out the details. The laptop program at the Calgary Science School is now entering it's 5th year. Our 1:1 program started in the fall of 2006 with 100 grade 6 students. This first year of the program was made possible through a Personalized Learning Initiative grant through the Alberta Government. 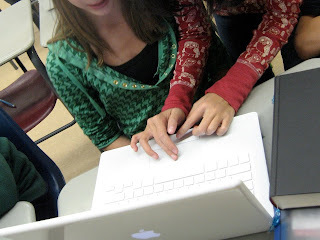 In the 2007/2008 school year the program expanded to grade 6 and 7 and the in fall of 2008 we moved to a full 1:1 program - all 600 students in grades 4-9 were provided with Apple Macbooks. After the first year of the program, we no longer had access to grant capital and had to internally cover the budget for the technology. Over the course of the first three years of the program, the Galileo Educational Network conducted research on the impact of our laptop program on student engagement and learning. This research has recently been released and the result has been a number of news stories over the last week. Laptops have an impact on student learning when combined with effective teaching practices. We are very open about discussing our laptop program and sharing our 5 year journey with interested teachers and schools. If you would like to speak with us about our laptop program, or any of the elements of our school, please contact us. You can comment below with contact information or email our Outreach Coordinator, Neil Stephenson, at neil.s@calgaryscienceschool (dot) com. We look forward to comments, questions and further discussion about this program. The Calgary Science School is hosting a PD day for Physical Education teachers who work at Calgary Charter and Private Schools on Friday September 24, 2010. We feel that much of our work as PE teachers is in isolated and unique situations - whether it is the actual physical building, the location of our school, the mandate/philosophy of our respective schools and so on. We feel there are few opportunites for PE teachers to meet and share their practices, particularly amongst teachers at private and charter schools. We also feel that each of us possesses experience and teaching resources that might be of benefit to other PE teachers. With that in mind, we are inviting any interested PE teachers to join us on September 24th for a day of professional development. We are viewing this day as a way for our PE teachers to share what they do in their PE programs and how they do it, as well as a way for our teachers to create a professional network. The Calgary Science School will host this event; however the purpose is to allow for presentations from any attendees. Regarding the presentations, we are hoping that teachers will present for around 30 mins each. We have facilities for both active (demonstrating a particular game or technique) as well as lecture/discussion (Powerpoint, etc) style presentations. We will provide projectors and internet access for those who require it. If you are interested in attending, please respond by completing this form no later than September 10th. The Calgary Science School and Youth Can Vote 2010 (http://www.youthcanvote.com/) are partnering to host a panel discussion, providing an opportunity for the Calgary Mayoral candidates to speak with students across the city. This 90 minute Mayoral panel discussion will be held at the Calgary Science School (5915 Lewis Drive SW) and will be broadcast on the Internet, allowing a wide range of Calgary schools to join in. During the live panel, grade 9 students at the Calgary Science School will host the event at the school and present questions prepared for the panel. At the same time, the event will be broadcast using Ustream (http://www.ustream.com) to allow students and teachers from schools across Calgary to watch and respond with real-time questions. The link for the live broadcast will be made available on this site the day of the event. The purpose of the event is to help students understand the impact that political decision making has on the lives of citizens. As part of this exploration, Calgary Science School students will be examining the role that media, particularly social networking and digital media, play in the campaigning process. We are still finalizing the times and details of the event, but we're looking at Sept 22 or 23rd for the event. It will take place during typical school hours, either 10-12am or 1-3pm. In addition to allowing students and teachers to pose questions through Ustream during the live broadcast we would love to gather questions for the candidates from a number of schools before hand. Please comment below if you are interested in sending in questions for the candidates - or just post your questions below. If you are a teacher at a Calgary school and would like more information about this project, please comment below. We welcome feedback and suggestions as we plan this event. We will continue to post updates about this opportunity as they are finalized over the next few weeks. Last year we moved our Fine Arts courses away from traditional report cards and onto digital portfolios as the primary form of assessment. Moving 600 kids onto portfolio based-assessment was a massive undertaking for our Fine Arts teams, and they did a commendable job of embracing the possibilities of these digital tools. The Fine Arts team, with the support of our administration, was given time throughout the year to wrestle with the move to digital portfolios, including the creation of one unified rubric. This video captures the story of our first year of the project. We're so excited about the learning from the first year, and have already started our second year of the initiative with new ideas and enthusiasm. If you have any questions or feedback about our move to portfolio-based assessment, please comment below. Last year our grade 8 math teachers held a math fair with their students, supported by the Galileo Educational Network. 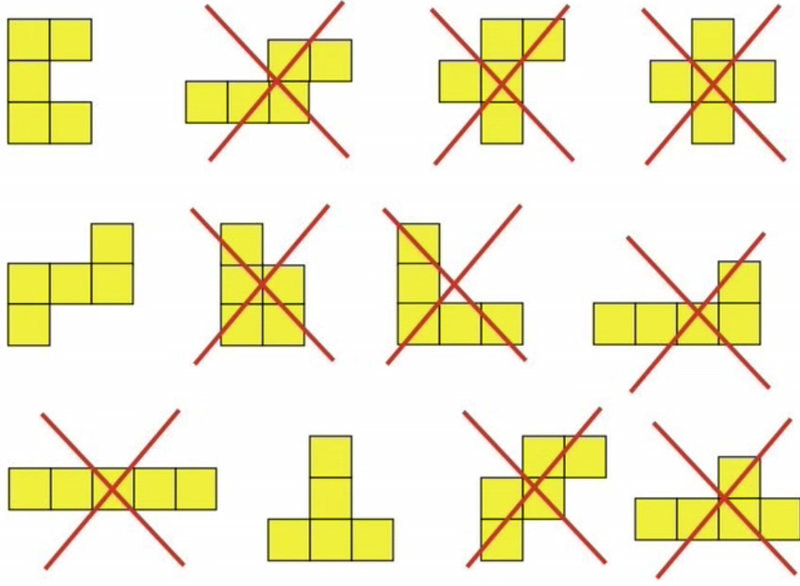 Students were introduced to a number of classic mathematical problems and brainteasers, and were allowed to choose what medium would best represent their solutions. The Galileo site has a number of resources on math fairs, including lists of problems, and three different rubrics (here, here and here). 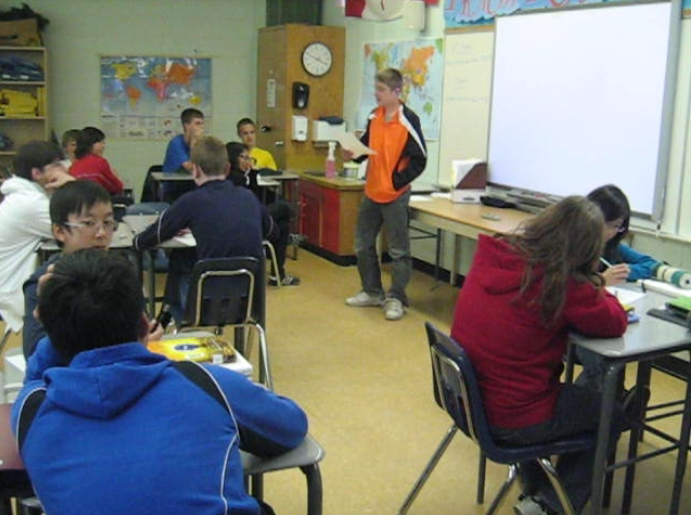 The 2010/2011 school year means the introduction of a number of new initiatives at the Calgary Science School. It is our plan to share these new programs in a series of posts over the next few weeks. The first of these new initiatives involves a greater focus on teacher collaboration as the foundation of our school's professional development and teacher growth plan. Historically at the Science School we have allotted agreat deal of time and resources toward opportunities for our teachers to meet and plan together. Time and time again we have observed how protected and collaborative planning time is foundational to the design of strong inquiry-based work. Teachers need time to brainstorm ideas and create learning experiences that are engaging and build deep understanding of core concepts. 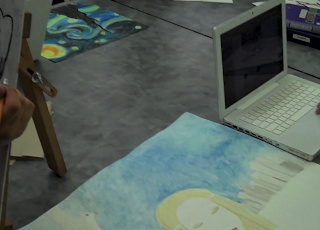 Last June at the end of the school year, the grade 8 students at the Calgary Science School were invited to re-imagine what schools might look like, now and in the future. In groups, students chose educational topics to examine such as assessment, physical space, and the relationships within a school, all designed to give students a voice in how education might be re-imagined. One group of students used this opportunity to examine the type of teaching and learning at our own school. They wanted to analyze our school-wide focus on inquiry-based learning and so they created and distributed a survey for students and staff. One of the interesting findings that these three grade 8 boys uncovered was that within our school community we have a wide range of definitions and understanding of what inquiry-based learning is. With that in mind, the boys decided to help bring some clarity to this complex issue. They created a video and a poster of strong examples of inquiry-based projects and have presented their findings to our staff and board of directors. As the end of the year draws near, our students are completing many diverse and engaging projects. One of these is a grade 7 art project where students created clay dragons, using a number of foundational skills they had acquired. On Thursday, June 10th the Calgary Science School hosted a number of special guests to our school. Dr. Dennis Sumara, the recently appointed Dean of Education from the University of Calgary, and Dr. Sharon Friesen, Associate Dean, were invited to CSS to experience the culture of our school first-hand. Also participating in the school visit were Dr. Garry Andrews, (Executive Director of the Alberta Charter Schools Association) Dr. Robert St. Onge, (Director at Alberta Learning), Dr. Bonnie Shapiro (Professor of Science Education) and Joanne Steinmann, (Alberta Initiative for School Improvement, University of Calgary) as well as members of the CSS Board of Directors and leadership team. The purpose of the visit was to initiate discussion in support of a closer partnership between the Calgary Science School and Faculty of Education at the University of Calgary. Over the 10 years of the school, we have established a significant number of connections with the University through hosting student teachers (CSS teachers hosts anywhere from 8-12 student teachers a year) and participating in research studies (this year there are 7 academic research studies being conducted at CSS). However, while these connections are already in place and CSS is well known by the Faculty of Education, the intention of this visit was to explore the possibilities of an even closer relation where CSS would become a partner or lab school for the Faculty. The visit was started with two groups of grade 8 students sharing their most recent inquiry-project around redesigning schools for the 21st Century. Both sets of students did a fantastic job of sharing their learning, and represented the school in a professional way. The Dean commented a number of times on the quality and depth of the student presentations. The rest of the visit centered around sharing snapshots of our school’s history, vision and examples of classroom projects and student learning. Overall, the visit was very well received. In fact, the Dean subsequently wrote an opinion piece for the Calgary Herald in response to a recent Alberta Education Report entitled “Inspiring Education.” In writing this response, the Dean made specific mention of the strength of learning that occurs at the Calgary Science School, and highlighted the clear connection between our school’s vision and the direction of teaching and learning in the province. In terms of the potential partnership with the University, we should know more details in the Fall. Our grade 6 students have just wrapped up the tracing project that they've been working on through the last semester. As written about before, this is a project designed to have students learn to draw what they see, not what they think they see! After doing the tracing through the glass, students transfer their drawings to water color paper, and then design and complete the full painting with background. 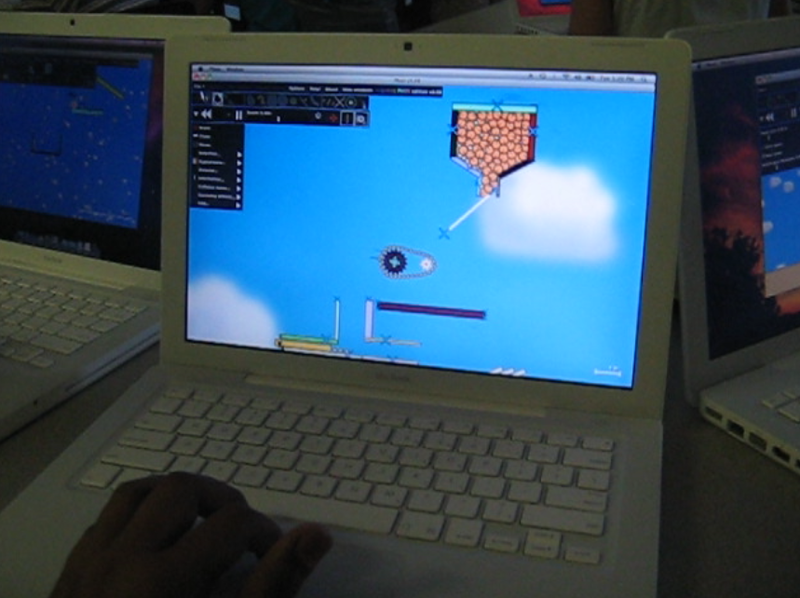 Over the last few weeks, our grade 8 students have been working on virtual Rube Goldberg Machines, using a physics simulator called Phun. The planning documents and rubric for the project can be found here. For the assessment of the work, the teachers really wanted to focus on the students' understanding of the various simple machines they were expected to build into their complex machine. With that in mind, the students were asked to create voice-over narrations of their machines - being asked to explain how the different machines combined and transferred the energy through the system. One of the advantages of creating these machines with digital rather than real world tools, is that students are immediately working with the scientific concepts at the heart of the project. Within minutes of opening the program, students were testing, modifying, tinkering and working with their machines. While there is something important about having students build physical models, the disadvantage is that students are limited to whatever objects that can locate, and often spend more time on the building than on the scientific understanding. However, by designing the work in Phun students are able to play with a much wider range of gear ratios and different materials than they would have been able to had they been building a real life machine. Having looked at a large number of these student projects, what is interesting is the range of creative solutions that the students built into their machines. Phun allows student to experiment with a number of materials including rubber, helium, glass, stone and water. While the core of the project revolved around students demonstrating their understanding of 6 simple machines, they were offered limitless creativity in how they would combine the tools and the task their simple machine would perform. The program Phun was a free download - but due to the complexity of the machines our students designed, the program quickly became laggy. Many of the student machine bogged down and were very difficult to complete. However, both the students and teachers demonstrated an incredible amount of perseverance in completing the designs. The teachers are very committed to continuing this project next year - and we're looking at purchasing Algodoo for next year - the paid version of this program. Throughout the project, and despite the laggyness of the program, students demonstrated a strong engagement in the work. Many students went home and immediately invested a great deal of time in learning and experimenting with the program. Students repeated asked to work on the machines - we are really excited about the potential classroom uses moving forward. One student in particular was interviewed about the project - and mentioned that he wanted to continue worked on his design. He also commented that this was one of the only projects in school that has ever inspired him to continue working on it way past the due date. What a strong recommendation for the project! To complete the project, each student created two videos: (1) their final machine with a sound track, and (2) their final video with a voice-over narration explaining their scientific understanding. Below are four videos, there are two students examples (with each of the two videos). Our grade 8 Science students are just starting on a project building digital Goldberg machines. To accomplish this, the students will be using an application called Phun, which is a free, 2D physics simulator. 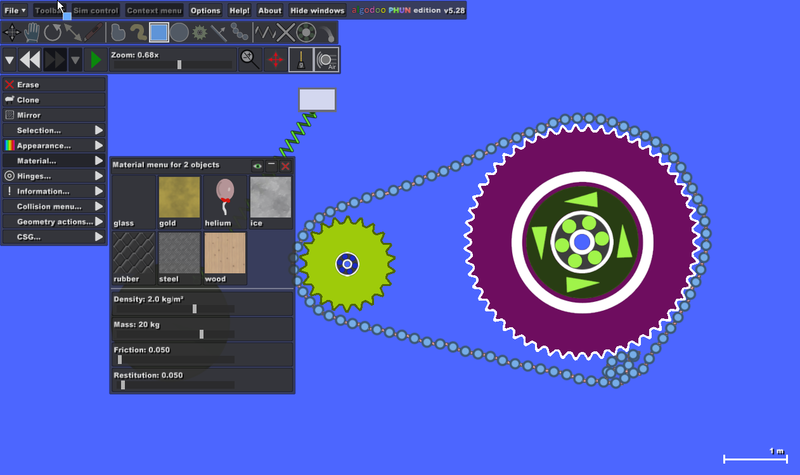 Phun allows students to digitally build and combine a variety of objects including gears, wheels, springs, etc and to control different variable including gravity, wind speed, density of objects, etc. By using Phun, we are asking the students will be able to create something like this in order to demonstrate their understanding of simple machines. Here is the initial planning document for the unit, including a rubric and the desired student outcomes. Cross Border Skyping - Part 1 of Many? Yesterday two of our grade 9 Humanities classes had the opportunity to have a discussion with two classes of grade 8 students at Wayne Highland Middle School in Honesdale, PA. Using Skype, the students were able to ask other questions about the differences between the political systems in our two countries. Student on both ends enjoyed the discussion, as the topics ranged from political process, to troops in Afghanistan, to healthcare reforms and Olympic Hockey. Our thanks to the teachers involved, as well as Lori Sheldon for helping set up the opportunity through twitter. One of the most significant things that came out of this discussion was a desire next year to build a more sustained project around cross-border political understanding. While this initial experiment with having American and Canadian students talk politics was engaging, we believe there is incredible potential in having students work together over a more lengthly period. We imagine students working in small groups to compare and contrast how our two countries respond to particular issues (economy, healthcare, environment, immigration, etc). This would also allow our students to dig deeply into the different histories and values that have created the current political and economic conditions in both countries. We were also thinking it would be fascinating to have students co-build a presentation (perhaps using Google Docs) and then share them to their two classes simultaneously. This would allow students to build some great collaboration and communication skills with students they have never met face-to-face. So our hunt is on for a school willing to try this next year. We are flexible with the time in the year we would attempt this project. If are such a teacher, or know of such a teacher, please comment below. It's never too early to start planning for next year! This post is written by our Teacher/Librarian Donna Alden, in response to an article titled "The Unhappy Place: What libraries can do to welcome kids who struggle with print" written by Ira Socol and published at School Library Journal. Well Ira, I am glad to hear you persevered, despite the unfriendly and foreboding presence the libraries of your childhood presented! To provide some context: I am a qualified teacher-librarian working in a dynamic middle school in Alberta, Canada, and I’d like to respond to your article in School Library Journal called “The Unhappy Place…Libraries …Welcoming Kids Who Struggle with Print”. I have an Education Degree, and a Master’s Degree in Library & Information Studies, 15 years experience as a teacher-librarian, and before that, 10+ years teaching experience in our province. My experiences with libraries began when I insisted on catching a city bus by myself, and marched into a public library, intent on filling my arms with as many books as the rules would allow. I completely agree with what you have said about making libraries more accessible to everyone, including those not geared towards text-dense books. I believe you’ll find many libraries already reflect what you have so passionately and clearly expressed in your article. In fact, I just attended a conference here in Calgary, and a full-day session on school libraries of the future, presented by two leading experts in this field- Dr. David Loertcher (USA) and Canadian, Dr. Carol Koechlin. “Googling” their names along with the refining term: “school libraries” will offer you a wealth of information, and I trust, much reassurance. I’m not sure books were even mentioned during the whole day’s work, nor was the word “rules”! First, I would like to comment upon your generalization that all librarians love books, that libraries are book focused, and that (it seems to me) you believe most libraries still present unwelcoming barriers. For over thirty years public and school libraries have been making changes in order be more accessible to all people. These libraries have a mandate to provide access and information to their clientele, unlike in the old days, when libraries seemed to be mostly focused on being the “keeper of books”- period. Although libraries may still seem print and book oriented, there are many alternative forms of print (including your suggestions in technology options), books that present more information graphically than through text, offer choices in items that are not books at all, feature numerous programs in support of literacy initiatives, allow eating and drinking, encourage chatting areas with comfy seating arrangements, and have welcoming decors. I’ll concede not all libraries reflect all of everything cited as examples here and in your blog. Perfection is not easily attainable. What is important is that the ideal, the goal, the mission and vision, of school and public libraries is in agreement with your message. You’ll not see all changes in all libraries, and the reasons for this, I suggest, are numerous, common, and multifaceted. Funding is, and will continue to be, a challenge for change for some libraries. The qualifications of personnel in libraries across our two countries are inconsistent. In smaller libraries, many people who loom behind that big desk you mention, make rules, and decide on procedures and policies, are probably not qualified- to put it bluntly- and thus are not informed. Or, perhaps they’re hanging on to their positions for dear life, with blinders on, and have ignored all the changes encouraged and supported in the field of public and school libraries in North America, and other areas of the world as well! The picture you present of your-self as a youngster is a recognizable picture of the typical boy. This is a generalization- but a valid one. There is a mountain of evidence in the field of education that backs the notion that boys (and many girls) learn differently than how schools are traditionally set up for- a text-dense, sit still world of books and routines- the proverbial square pegs in round holes image comes to mind- but we’ve made great strides in differentiating instruction in literacy, and offering all the kinds of alternatives to word-heavy books you and many others struggle to find meaning within. What you say supports what is being done in many schools and libraries everywhere- working from where the child is, presenting alternative forms of information, recognizing non-text information as legitimate and effective means of information and communication, etc. That little boy comes into our school library and knows exactly where to find the magazines, the Dewey section where comics are located, the jokes section, where books like Guinness Book of World Records and The Dangerous Book for Boys (and …Girls) are shelved (again, by the cursed Dewey system! ), the shelf of graphic novels, and books on card tricks, optical illusions and books that show how things work. And you did too- you loved books, just not the word-dense ones, and knew how to find them. We don’t allow food or beverages- reasonable because we don’t want them to have to handle the “worse case scenario”- spills and spoiled pages, computers, etc. However, I know the public library here does indeed allow food and beverages, and they budget for accidents. Our school library has no problem with hats, i-pods, or whatever else libraries in the past may have prohibited. Our library doesn’t have rules- rather, we have guidelines and suggestions, to empower students to take responsibility, respect others’ needs to access, and consider the library one of their areas of security and discovery in our school. We have flexible scheduling for teachers all day, and are open to students before and after school, as well as at recess times. Although our school library is, first and foremost, an instructional space, we have areas to chat and relax, play hand-held video games, share magazines, or whatever, and there is only one area where the “cone of silence” reigns- an area for those who need quiet to read, or think, or study. Our library is a good place to be, I think. I’m a librarian, and I do happen to love books. As a professional, however, what I love and am passionate about more than books, are children, teaching & learning, and information literacy. The focus of my professional position, and the mission of our library, is one of access and information- not books! And, I know I’m not one of the few- I’m one of the many. We’re making headway towards the vision you present, Ira. But, like all institutions, fields in social services, and society- it takes time, vision, energy, passion, and, I believe, sound information backed by research. We’re achieving that, and more- I encourage you to look for the evidence. And in the libraries you see little or none of this- continue to shout out your message…. There’s much work to do, and many of us in the fields of education and libraries completely agree with you. 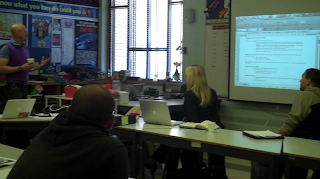 One of our grade 4 teachers, Greg Neil, is presenting next week at the GEOEC conference in Canmore Alberta. Greg's presentation is going to focus on the Galileo Inquiry Rubric, and then use a Grade 4 project he designed on endangered animals as a case study of inquiry in action. 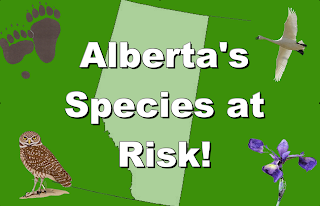 The purpose of the project was to have students understand the different regions in Alberta, and to explore the understanding of "land" by attempting to take on the perspective of an endangered animal with one of the regions. One of our Physical Educadtion teachers (Tammy Berry) is delivering a presentation this weekend at the Annual Conference for the Health and Physical Education Council of Alberta. Tammy is delivering a one-hour session on her grade 4-6 football unit, in which she strives to incorporate both inquiry-based learning and technology. In the past, when Tammy taught this unit, she was often frustrated because playing traditional games of football with this age group (grades 4-6) often left out a sizable chunk of students, due to either athletic ability or interest in the sport. Tammy was looking for a way to teach the foundational skills of football in a way that would invite participation from all students, as well as allow for creativity and technology. The unit she designed is built around 'football routines.' Over the course of a few weeks, students are introduced to a number of foundational skills (throwing a spiral, kicking, catching, running plays, etc) and are asked to build a one-minute routine that incorporates all the skills. Tammy introduces a rubric of the skills at the beginning of the unit, and throughout, students have the opportunity to self-assess their own skills, as well as performing their routines for their peers to receive feedback on how to improve the skills and routine. Throughout the unit, Tammy finds that all students are now fully engaged in the sport. Students have the opportunity to build the skills in an environment that is both safe and creative for all students. As students are building and practice the routines, they are constantly receiving advice from teacher and peers. At the end of the unit, after receiving feedback and improving their ideas, students perform and record their final routines. 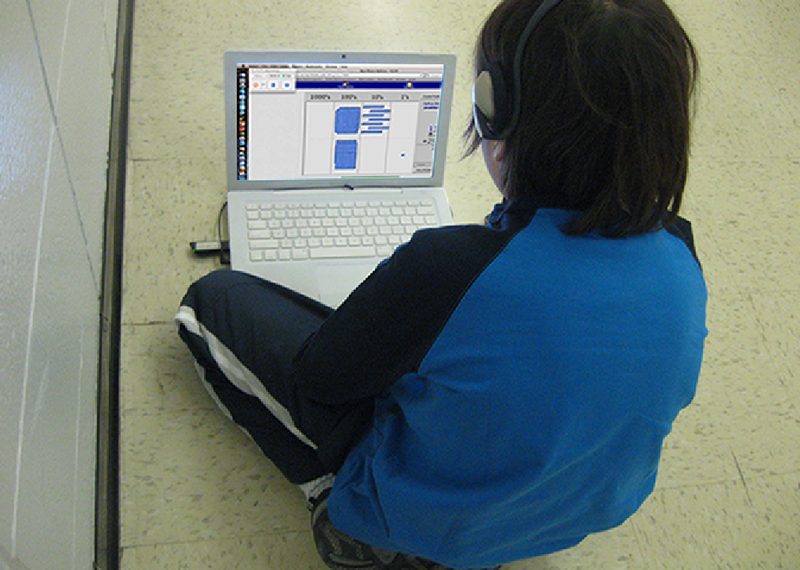 Students then upload their final routine to their digital portfolios, and are asked to self-assess their improvement over the course of the unit. Students can capture this self-assessment either in written form, or by creating a voice-over on top of their video file. In this way, Tammy is attempting to bring technology into the P.E. class by mirroring the use of video recording in professional sports. Students are able to watch themselves performing the skills, and can point out areas for improvement. Through the entire unit, the self-identification and improvement of skills is the goal. This year I learned a lot of things in football. What I learned was some techniques like run moves when my teammates yelled hut. In this video I did the buttonhook . I have improved on my punting the ball. I can punt the footballs farther and more accurate and can sort of get a spiral on it, but in this video the punt at the end did not have a spiral. I was a good teammate because I gave out suggestions for what to do in this video and told the rest on my teammates what they could improve on. My favourite part of the football was making a routine with a group and watching my video. I know that next year I need to improve on remembering to throw with my left foot forward. View more presentations from Calgary Science School. 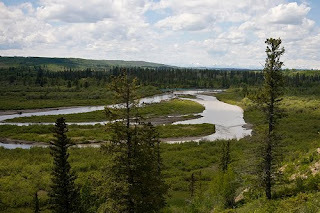 One of the luxuries we have at the Science School is being within walking distance of a protected wetlands area called the Weaselhead Natural Environment Park. Being so close allows our teachers and students to make us of the park for recreation, as well as scientific and environmental education. One of our grade 5 teachers has planned a project for his students to study the quality of water in various places around the Weaselhead.